Wambach Wildlife Management Area (WMA) is a 1,288-acre reserve in northwestern Minnesota. It consists of two units separated by Santee Prairie SNA. The large 1,209-acre West Unit is a mosaic of mesic prairie, shallow lakes, ponds, large areas of cattail marsh, and various wetlands. 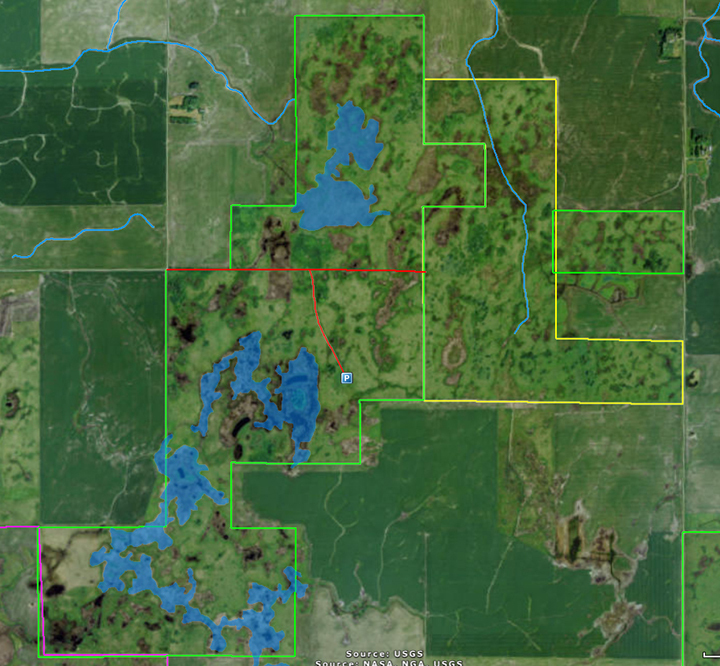 The 79-acre East Unit is mostly mesic prairie with some wet prairie and wetlands. Deer, small game, forest game birds, pheasants, and waterfowl can be hunted here. Small white lady’s slipper (Cypripedium candidum), a species of special concern, is found here. A survey in 1994 found 12 Powesheik skipperling (Oarisma powesheik), a federally endangered butterfly, on this site. This small butterfly has not been seen in the last 10 years in Minnesota. This entry was posted in Nature Destinations and tagged Wambach WMA on April 29, 2016 by John Valo. 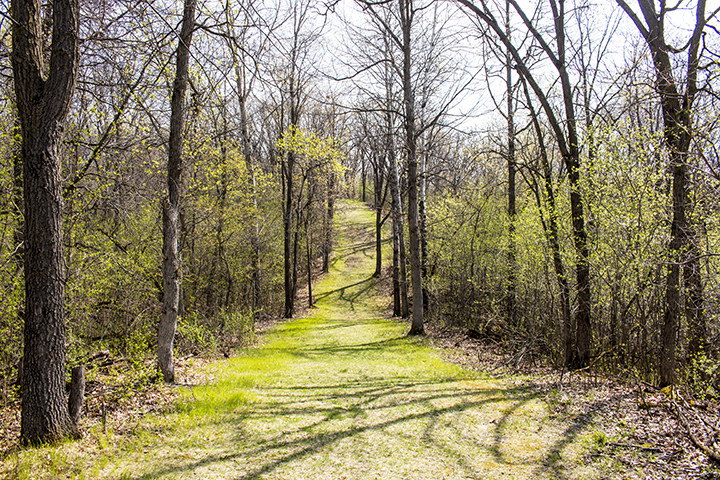 The City of Elk River describes Woodland Trails Park as “crown jewel of the Elk River Park system”. That may make it sound like a big fish in a little pond, but that phrase would not do it justice. This 371-acre park has two native plant communities, about 10 miles of hiking trails, and a biathlon range. The trails are wide and well marked, including distance markers every kilometer. Woodland Trails Park preserves an area of low hills and swales formed by the advance of the Wisconsin glaciation about 12,000 years ago. Today, the area is mostly covered in a oak-maple woodland. A small black ash swamp occupies a low area to the west. Visitors this weekend (4/24/2016) will find rue anemone peaking throughout the park. This entry was posted in Nature Destinations and tagged Woodland Trails Park on April 24, 2016 by John Valo. 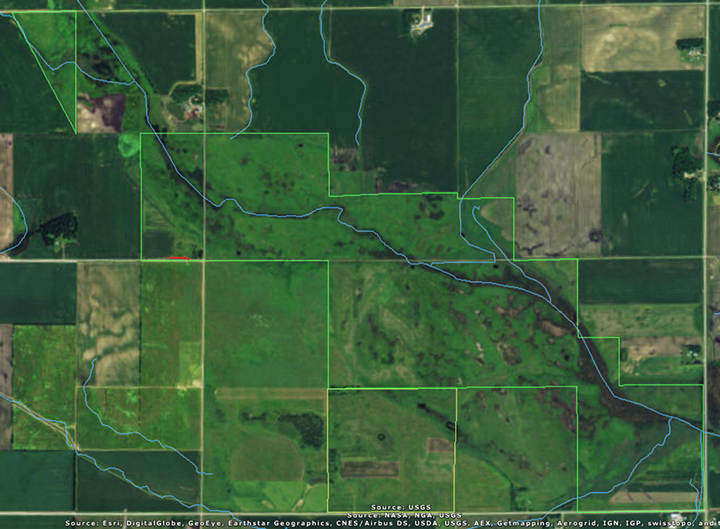 Expandere Wildlife Management Area (WMA) is an 896-acre reserve in intensively farmed southwestern Minnesota. It has what may be the state’s largest population of small white lady’s slipper (Cypripedium candidum), a species of special concern. A survey in 2005 found more than 6,000 plants here. Another survey in 2012 counted 9,373 plants. Powesheik skipperling (Oarisma powesheik), a small, federally endangered butterfly, has also been recorded on this site. A survey in 1993 and 1994 found 5 individuals on this site. However, according to the U.S. Fish and Wildlife Service, the skipperling “may have been extirpated from the Dakotas, Minnesota and Iowa within the last 10 years…”. Surveys in 2014 found the skipperling only at a few sites, and only in a single county in Michigan. Expandere WMA has two separated units which lie on an area of glacial till, an unsorted aggregate of clay, sand, gravel, and boulders. It is mostly wet prairie. It is bisected by an unnamed stream and has large areas of cattail marsh to the east. There is also an elevated ridge of moderately moist (mesic) prairie to the south. The low areas are subject to flooding in the spring with snow melt and throughout the year after heavy rains, but experience draw-downs in the summer. This entry was posted in Nature Destinations and tagged Expandere WMA, Powesheik skipperling, small white lady’s slipper on April 15, 2016 by John Valo. Oil beetle (Meloe impressus) is an infrequent, medium-sized, blister beetle. Its metallic blue body stands out in sharp relief against green foliage. It lives about one year but has a short season above ground. Adults are active for just two months between August and October. They are found on the ground or on foliage close to the ground. When threatened or mishandled, they exude an oily yellowish liquid that causes blistering on human skin. Oil beetle larvae pass through four stages and seven molts (instars) before pupating. They live in the nests of solitary, ground-nesting bees, feeding on bee eggs, honey, and stored pollen. Oil beetles (genus Meloe) are identified by head, body, and legs all metallic blue or black; oval-shaped abdomen; small outer wings (elytra) that overlap at the base and are much shorter than the abdomen; lack of functional inner wings; and antennae that are bent in the middle. This oil beetle (Meloe impressus) is distinguished by the usually brilliant metallic blue, violet, or green, sometimes black coloration; upper margin of the eye that is nearly straight; fifth segment of the antennae enlarged and flared outward; sparse, fine pitting on the head and thorax; thoracic plate with straight sides that converge toward the rear; and a spur on the fourth segment of the hind leg that projects toward the rear. 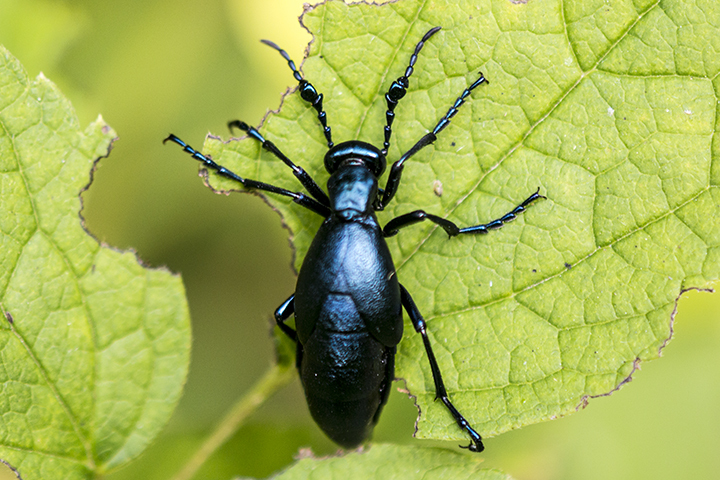 This entry was posted in Insects and tagged Meloe impressus, oil beetle on April 2, 2016 by John Valo.